People have different definitions of what it means to be well-traveled. For some, it means a big portion of your time is spent exploring new places. To others, it simply means racking up passport stamps. 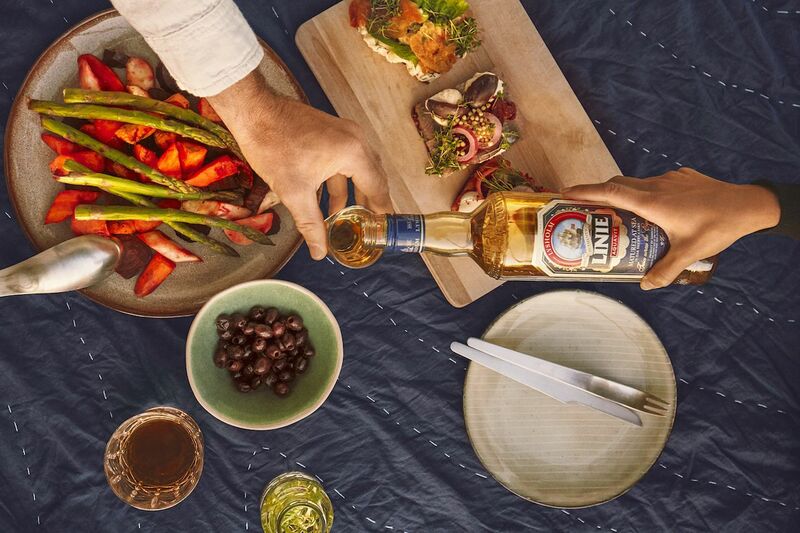 Every drop of Linie Aquavit, a spirit from Norway, is well-traveled regardless of how you define it. In fact, all of the Linie sold since 1821 has seen more of the world than the vast majority of humans. Before being bottled, Linie is aged in 500-liter barrels that previously held Oloroso sherry for a year. 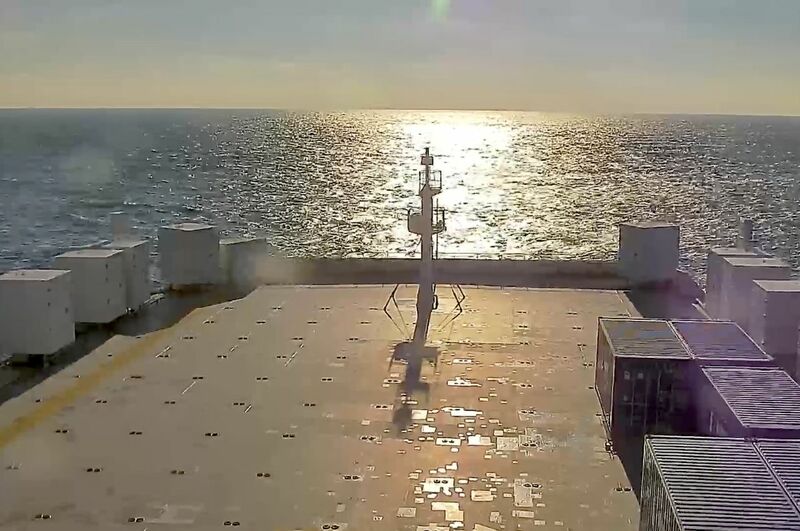 It’s then put on a ship that travels around the world, crossing the equator twice during the journey (hence the name Linie, which refers to the equator line). The barrel-holding ship stops at more than 20 ports of call along the way in more than 10 countries. It’s time-consuming and seems like an extremely inefficient way to barrel age a spirit. But it wouldn’t be Linie without the miles. The barrels of Linie are stored on the upper deck of boats owned by the shipping company Wilhelmsen. Other deliveries are made along the way, and the aquavit is the only thing that is picked up and dropped off in the same port. Each cask is stored in ventilated containers on the deck, exposing them to the climate. This allows the aquavit to “absorb more taste and aromas from the wooden 500-liter Oloroso sherry casks than in a warehouse,” Jourdan says. Distillers have long known that where a barrel of liquor ages impacts the final taste. Barrels of rum age faster in the hot and humid Caribbean than Scotland’s cool and moderate highlands, for example. Linie gets a little of both and everything in between. The company gave people a taste of what the barrels experience along the journey by putting them on a swaying stool and blasting them with heat, salt spray, and wind. For the aquavit, however, it would be difficult (if not impossible) “to recreate the same maturing conditions and the unique Linie taste,” Jourdan says. There’s some science to that. In 2018, Popular Mechanics tested the chemical difference between barrels of whiskey that traveled by ship from Kentucky to New York versus whiskey that aged solely in the Bluegrass state. The publication found that the shipped liquor had more characteristics that we associate with longer aging times, like less floral notes and more coconut, vanilla, and wood notes. Along with the impact on flavor, the commitment to the sea also comes down to tradition. It all started in 1805. Lysholm, a Norwegian trade family, shipped a barrel of local aquavit to the East Indies. No one wanted it, so the barrels were shipped right back to Norway. They weren’t going to let all that liquor go to waste. The ship-aged aquavit was tried when it got back to port, and it was a hit. It’s a broad definition, allowing for plenty of variation from brand to brand. Each region does it differently, from Norway’s potato-based aquavit to US takes like Skiklubben from New Hampshire and Krogstad from Oregon. 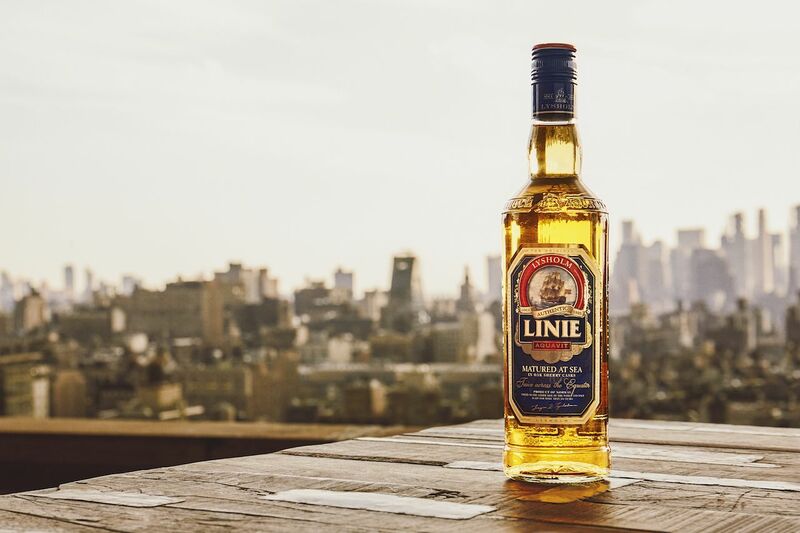 Linie, however, is the only one sending its liquor around the world and back. The doubt is understandable. On a trip to Oslo I took in 2015, a bartender walked my girlfriend and me through a series of aquavits, including Linie. When he told us the story about it traveling the world, I was skeptical. Maybe it was a translation issue, or maybe it was because it was the dead of winter in Norway, but the bartender’s explanation was paced more like Eeyore than Tigger, and I felt like I was being taken through one big marketing ploy. It would be a different experience today. To silence the haters, Linie is live streaming the entire four-month journey of some of the brand’s barrels. From Oslo to Baltimore, through the Panama canal to Tacoma, and then off to Japan and Australia — you can follow it all. An accompanying map shows where the boat is and where it’s been (the equatorial crosses are near Singapore and Panama). The post This Norwegian liquor crosses the equator twice before you get to drink it appeared first on Matador Network.